If you want to own your own salon it may seem like an impossible dream. But here at Salon and Spa Galleria, we can make it a reality. 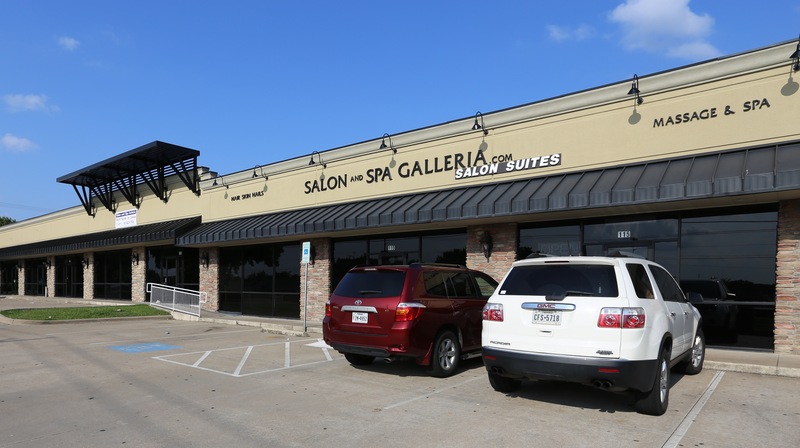 Want to own your own beauty salon in Irving, or own your own beauty salon in Keller, or owning our own salon in Southlake we have the right suite for you. We have different size suites and lease terms available for you. In all of our suites, we customize it with a sink or shampoo bowl whichever one best fits you. We also encourage you to decorate, paint, and add your own little touch to your suite to make you and your clients feel at home. And as a special treat from us to you, we put a thirty-two inch TV with Direct TV hook up for you to enjoy between clients and your clients to enjoy while they are in your hair or waiting to be done the processing. We have twenty-four-hour access to twenty-four-hour surveillance to ensure the safety of you and your clients as well as the safekeeping of your suite.